We advise your company in all phases of its life – for its growth and to develop partnerships, in France, in Europe and internationally. We assist our clients in their transactions and in Court. 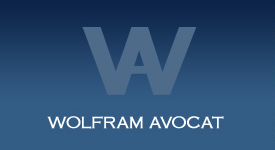 WOLFRAM-Avocat operates primarily in business law, technology law and intellectual property, international and French-German business. This site will inform you about our practice and working with us.